Phnom Penh (VNA) – The Khmer-Vietnam Association in Cambodia will continue to keep a close watch on the situation of Vietnamese Cambodians, especially those in Kampong Chhnang and four other Cambodian provinces adjacent to Tonle Sap Lake. 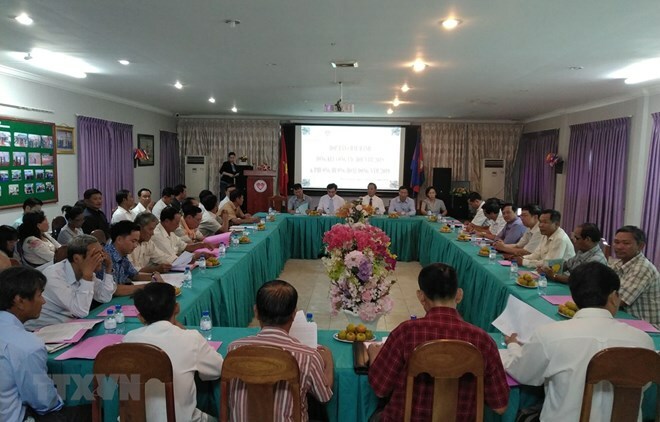 During a meeting in Phnom Penh on March 29, the association decided to keep track of guidelines and policies regarding nationality registration of the Cambodian Government. The association will also consolidate its executive and standing boards in line with its new regulations. Chan Van Chi, President of the association, reviewed the operation of the association in 2018, and the situation of Vietnamese Cambodians, emphasising difficulties facing those living along the Mekong Delta and the Tonle Sap Lake.